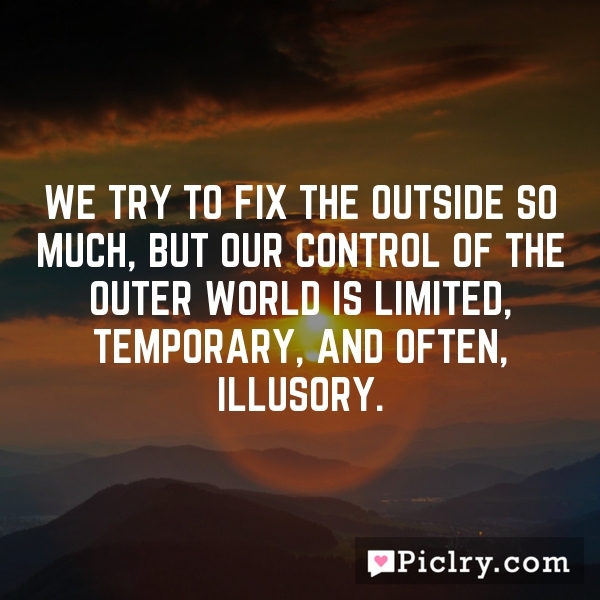 We try to fix the outside so much, but our control of the outer world is limited, temporary, and often, illusory. For like a shaft, clear and cold, the thought pierced him that in the end the Shadow was only a small and passing thing: there was light and high beauty for ever beyond its reach. The struggle ends when gratitude begins.